If you are celebrating the King of Duct tape on Father's Day (or if you are throwing a construction themed birthday party for your little guy), you will want to check out this DIY duct tape party wrapper tutorial! 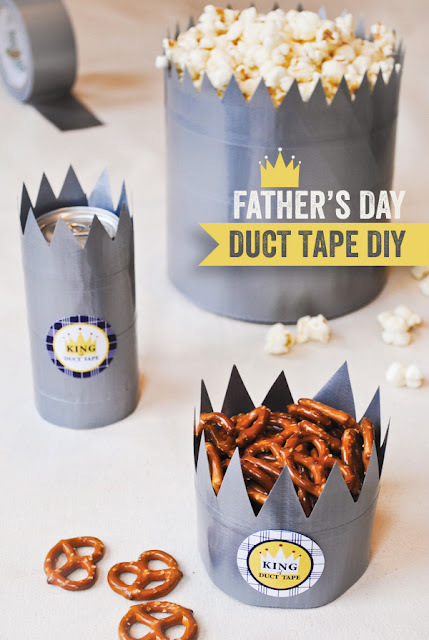 We've know for decades that duct tape can fix just about anything and for years we have been using it for fun crafts from duct tape pencil bags to duct tape dresses, but now you can use it to decorate for your Father's Day celebration as well! You can check out how to make King of the Duct Tape party wrappers over at Hostess with the Mostess.